Welcome to paNASH's on-demand career success videos. Purchase individually, or save when you purchase the on-demand bundle. Do you feel like there are obstacles in your life standing in the way of pursuing your passions? Do those obstacles keep you stuck in your life or your career? How to get unstuck and get out of your rut. Ways to overcome your obstacles and re-frame your negative beliefs. Ways to discover new passions and to pursue your long-held passions. How to incorporate your passions into your work with successful networking skills. Ways to nail the interview for a job that fulfills your purpose and passions. The courage and freedom to pursue your passions. A nudge outside your comfort zone. Guidance and direction toward work you love and enjoy. Action steps to pursue your passions. “Well worth the time spent. It provided realistic and useful advice in a very organized manner!” Christina W.
“I was blown away by the experience of Lori's coaching approach, and could see how beneficial it is!” Lauren F.
"Lori provided a useful framework and strategy for moving into new territory. I was able to adapt it to my needs and where I was in my own journey." M. B. 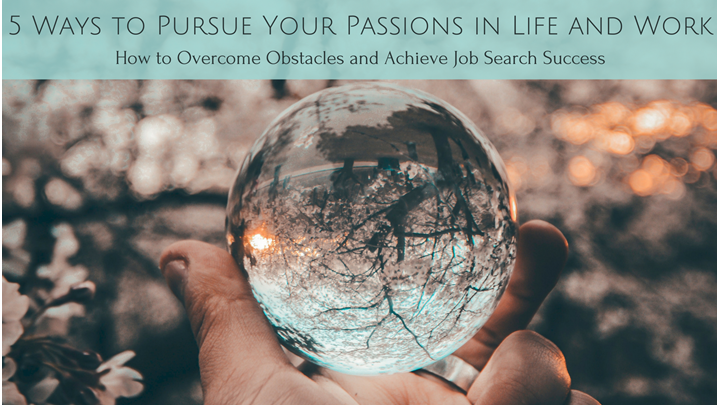 Register for this complimentary on-demand program to get out of your rut and to start pursuing your passions. *LIMITED TIME BONUS: Don't Just Set Goals, ACHIEVE Them! Are you good at saying you’re going to do something, but not following through, especially on your goals? 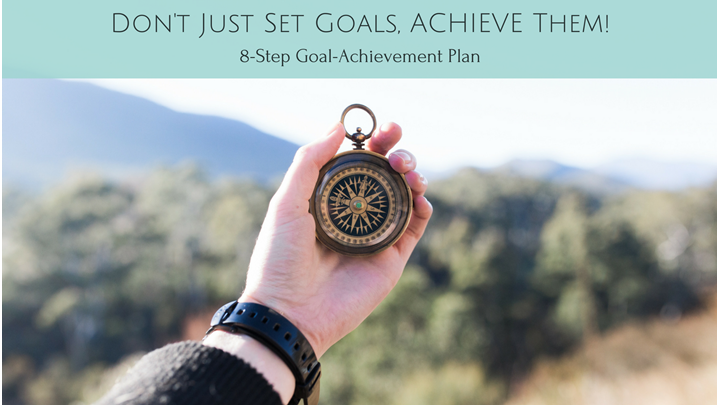 Do you make goals, but never really achieve them? What would freedom from failure feel like? Set goals you can commit to. Break your goals down into manageable steps. Overcome obstacles standing in the way of your goals. Have more success in your life and your career. Serve as a positive example for your family members. Be more focused on how to better spend your time. Obliterate the obstacles previously in your way of your goals. Have an action plan that can be adapted for any stage of life. Have a true sense of accomplishment. "Lori's instruction helped me figure out where to focus my efforts to get past barriers I had run into. It provided me with tools and resources to achieve my goals and helped me get started on a path I could continue even after the program." Robert H.
"I am more confident and sure of myself and am now able to put my passions into action!" Kaylyn S.
"The last part of the previous year was a challenge career-wise, but Lori's tips helped me greatly and I learned a lot from them." Jake E.
Receive this bonus program for free when you purchase the bundle by the 15th of next month. 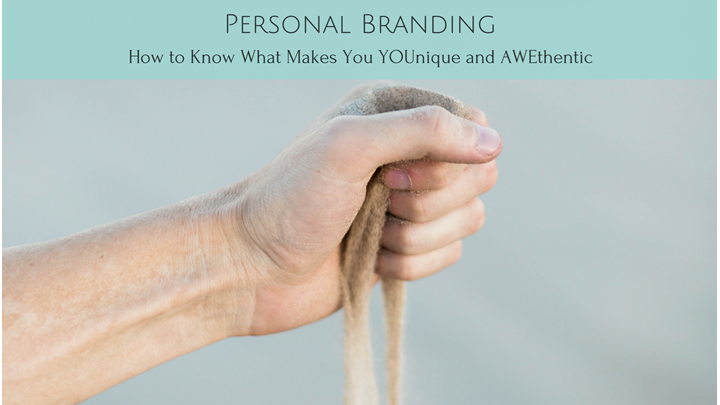 Personal Branding: How to Know What Makes You YOUnique and AWEthentic! Do you know what makes you unique? Everyone has to be able to answer this question, whether in an interview ("Why should we hire you?") or in a pitch meeting ("Why should we sign you?"). No matter what you're trying to accomplish, you have to be able to explain why you should be the one to accomplish it. Are you comfortable talking about yourself in this way? The importance and purpose of personal branding. How to develop your AWEthentic brand. Self-reflection exercises designed to help you see how your passions and abilities fit into your personal philosophy and career. How others perceive you (I promise this isn't as scary as it sounds!). How valuable your unique skillset is and where it fits into the world around you. Who can benefit from your skills and interests. How to effectively and clearly communicate your value (to family, friends, and potential employers or clients). A method for making the best decisions for your life and career. A free copy of the Personal Branding e-book (a $9.99 value). Your very own personal mission and vision statements. The ability to know which big decisions are the right decisions for you. A better understanding of how you add value to the world. Better knowledge of who your audience is and how you can best impact them. The ability to think "big picture." Feeling comfortable in your own skin and your own abilities. "This was wonderful and extremely instrumental in helping me figure out who I am. I'm now able to clearly express my vision and my mission for my career." Kaylyn S.
"This gives me so much relief! I'm a songwriter and, before this program, I was struggling with low self-esteem because I was always comparing myself to other songwriters. Now I know I can instead spend that time and energy embracing the things that make me different and unique from other songwriters." Deidre T.
"The homework from this session stirred up a lot inside me. So far, figuring out what my values are has been the most helpful for me. It's worth every penny and then some!" Katie G.
Does your current resume get you as many interviews as you'd like? Or does it just seem to end up in a black hole in cyber space? Get ready for the best resume advice in 20 years! How to ensure your resume makes it through keyword filtering software. How to guarantee it gets read and fully considered by recruiters. What common resume mistakes to avoid. Which resume format best showcases your skills and experience. How to best word your resume. 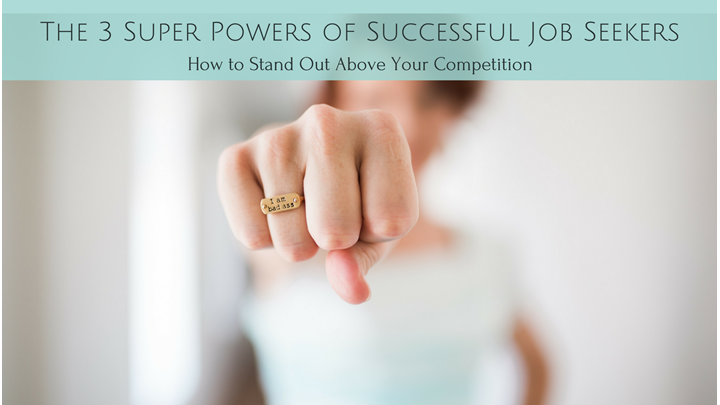 Modern ways to make your resume stand out above the competition. An increase in the number of people seeing your resume. A boost in confidence in your experience and work history. More job opportunities for which you can apply. "My new resume is working much better and Lori's advice is to thank! The response has been very positive. I now have 7 interviews lined up!" Beth G.
"Lori's suggestions for my resume landed me a job. A very good job!" Chris C.
"The strategies Lori provided for how to better organize my resume has helped me tremendously!" J.S. Do you find networking to be inauthentic at best, and uncomfortable or intimidating at worst? Does it feel unnatural, especially if you’re introverted? The who, what, when, where, why, and how of networking. A networking technique more effective at getting you a job than applying to job ads or making cold calls. Feel more relaxed and at-ease in networking situations. Make stronger connections with people who have hiring power. Be better prepared for networking situations. More likely get hired sooner than by answering job ads. "The tips Lori gave helped me tremendously, especially in locating recruiters." J.S. "This program reassured me that my unique skills do have a place in the professional world when I originally didn't think they did." Robert H.
"Lori's instruction makes you feel like you're on the right path with a friend in tow for support." Penny C.
Do you ever wonder what you did wrong in past interviews? Does the thought of possible failure give you a minor (or major) panic attack right before a big interview? Strategies to give you the confidence to overcome the fear and stress of interviewing. What you've been doing wrong and how to correct it. The best and most productive way to prepare for your next interview. How to answer "Tell me about a time when…" questions and other commonly asked questions. Questions YOU should ask in the interview. How to win the interview in each stage: before, during, and after. Better and more job offers to choose from. More confidence to negotiate a higher salary and better benefits. "One of the job interview tactics Lori recommended really improved both my confidence and the company's interest in me. It was such a great suggestion that came with great results!" Alphonso W.
"My confidence level in my interview skills jumped from a 4 to an 8!" Jamie H.
"I now have the tools to spot the red flags so as not get into the same work situation I was in previously. It's so empowering to be able to recognize a job that's not right for me and to have the confidence to say 'no' to it and 'yes' to something better." J.S. "I got the job! Thanks to Lori's interview tips I'm now doing social media (my passion) for a toy company!" Robin G.
*Bonus program with purchase of bundle. 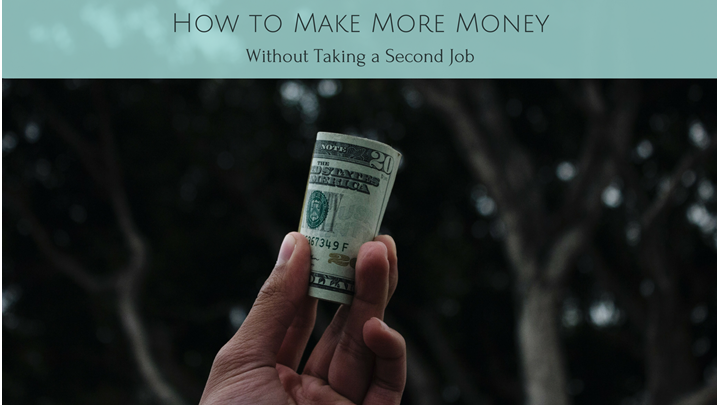 Do you wish you could make more money without having to put in more hours? I'm going to show you how to increase your income with one simple task. Market what you've accomplished in your past work experience. Ask for more money in your current job. Position yourself for a promotion. Leverage you experience for a better paying job. Protect yourself from potential job loss. More money/higher salary in less time. A more streamlined source of revenue. Greater awareness of your worth in the work force. Confidence and ability to negotiate successfully. "I wish I had known this info the last time I had to negotiate my salary." B. Q. "This program taught me how brand awareness is key in communicating my value to my audience such as my clients and my supervisor. I learned that my past work results are part of my brand and they're the things that give me the leverage I need to increase my income." John R.
Receive this bonus program for free when you purchase the bundle and start increasing your income today. 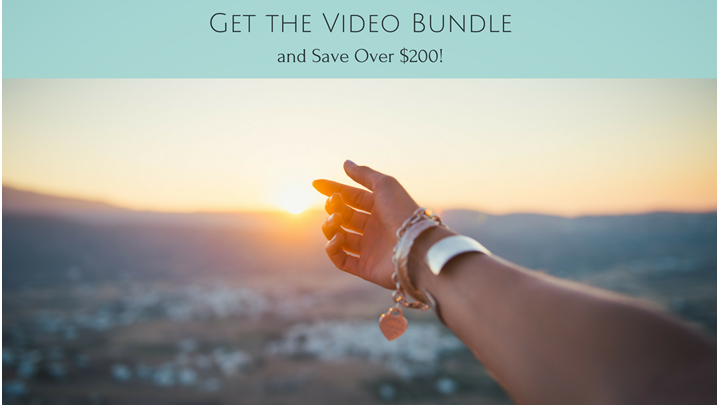 The paNASH bundle package includes a FREE resume critique, all 6 programs plus the 2 BONUS programs (22 video clips), and all 16 downloadable handouts + a free copy of the Personal Branding e-book (a $630 value) for a TOTAL SAVINGS of $235! Get unstuck and get out of your rut. Make the best decisions for your life and career. 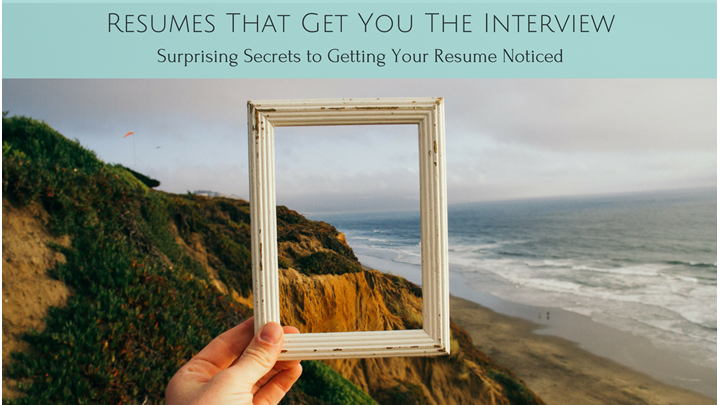 Create a resume that lands you more interviews or more potential clients. 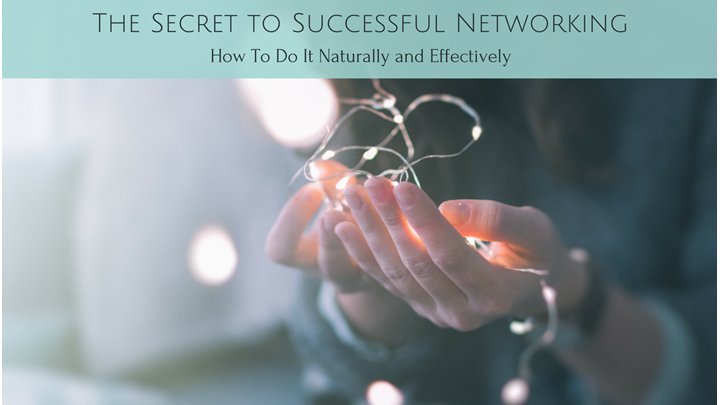 Network in a way that feels more natural and is more effective than answering job ads or making cold calls. Correct what you've been doing wrong in past interviews or sales presentations. The confidence and freedom to pursue your passions. More success in your life and your career. 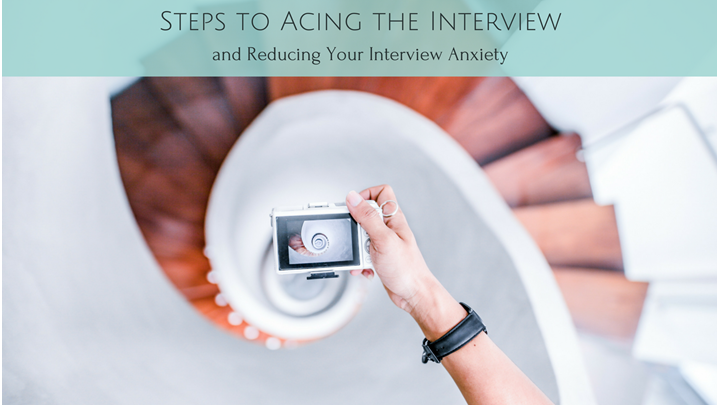 Less stress and anxiety in the interview process. For details and client testimonials, see the individual descriptions for each program.